Effective quality management is at the heart of the MGE strategy to build long-lasting, sustainable relationships with our customers. In order to meet their exacting quality requirements, we need to be sure that we are able to supply excellent products with consistently high quality at competitive prices, every day of the year. At a corporate level, the MGE Quality Management Unit works together with our customers, technicians and growers to develop quality standards and QM solutions that will meet and if possible exceed customer expectations. Contact: For further information please send an email to: quality@mgefarms.com. The focus of MGE's corporate Quality Management Policy is to utilise the wide range of technical resources and skills, IT solutions and group synergies available within the company, in order to manage quality throughout the supply chain as effectively as possible. In doing so we also take account of the differing needs and possibilities of countries with varying requirements, regulations and customs, while bringing them into line with our company's global approach. The EUREPGAP standards helped MGE, comply with Europe-wide accepted criteria for food safety, sustainable production methods, worker and animal welfare, and responsible use of water, compound feed and plant propagation materials. Harmonized certification also meant savings for producers, as they would no longer need to undergo several audits against different criteria every year. 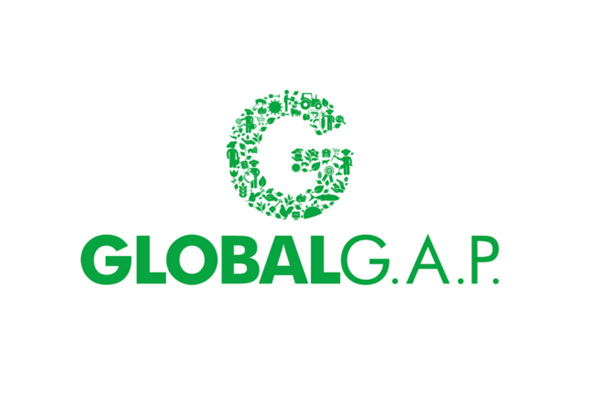 GLOBALG.A.P. Risk Assessment on Social Practice and is a voluntary ready-to-use module developed to assess social practices on the farm, addressing specific aspects of workers’ health, safety and welfare. 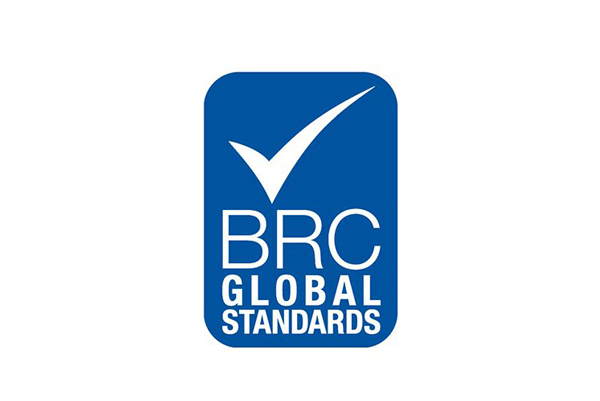 BRC Global Standards' guarantee the standardization of quality, safety and operational criteria and ensure that manufacturers fulfil their legal obligations and provide protection for the end consumer. BRC Global Standards are now often a fundamental requirement of leading retailers, manufacturers and food service organizations. 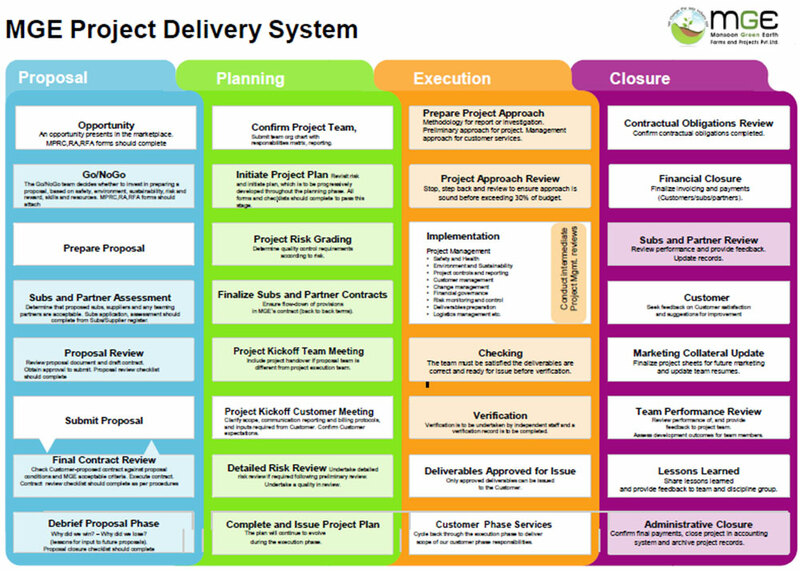 MGE Project Delivery System (PDS) is the overall framework that facilitates a partnering relationship between the Client, the Partners, Suppliers and MGE as PROJECT, while setting unambiguous procedures and expectations for performance. The PDS is a living document and will be reviewed and amended as necessary to account for evolving changes in the Project. The proper development and implementation of these documents are critically important functions of a PROJECT, as they provide the roadmap to delivering the task and fulfilling the Client's goals. It is MGE's philosophy to "plan the work, work the plan". Since the Project encompasses many different parties and components, the coherence, clarity and interconnectedness of the governing policies and procedures is the indispensable foundation for effective Quality management. MGE's regime of policies and procedures will be built from best practices, established company policies and procedures tailored specifically for the PROJECT, informed by "lessons learned"
The added value created by our technical expertise makes MGE an important, reliable partner. This is an essential aspect for our customers, as the latter are frequently large companies that operate in highly competitive markets. We are able to help them in many different ways, including technical expertise. As a major producer in key production areas such as India and China, MGE has a large number of technicians and specialists with detailed knowledge and understanding of fruit and vegetable production. These are the people who have the responsibility of translating customer quality expectations into agricultural solutions. We also have technical expertise in all our packing stations and warehouses, working within the MGE QM guidelines. Training: we place great value on the training and further education of our technicians, to ensure that we are always at the forefront. We also regularly invite customers to be trained by us in order to increase the added value they offer in the market. Effective data and documentation management is essential to managing quality in complex, multilingual supply chains and to demonstrate compliance with customers' requirements. MGE QM has developed and deployed a wide range of customised web-based tools to gather and share information within our supply chains. In this way we are able not only to obtain large quantities of streamlined information, but also to identify potential risks in the international supply chain. Our databases and tools make all the information in the complete supply chain available in a transparent, uniform manner. MGE farms adopting latest technology for quality tracking and for record of all stages quality checks, we introduced LOTPATH software for Export Harvesting, Packing , Quality verification for the following purpose. Go ahead, measure anything and compare with specifications. Perfection is a road, not a destination- calculate defects and counts with differentiation of seriousness. A picture is worth a thousand words, and maybe dollars- show images to suppliers and customers for transparency ethical business. Show and tell- Lotpath Quality share inspection data and photos with suppliers, customers, trading partners, or others through email links. Innovation is essential to improving the quality of the production processes and of products. MGE is actively involved in testing, evaluating and promoting new technologies and techniques.